President Klaus Iohannis is having the second round of consultation on the justice referendum today, with the PSD and ALDE, representatives of the ruling coalition. However, PSD has chosen to send only one representative for the talks with the head of state, MP Eugen Nicolicea, while the rest of the delegation consisted in two former political prisoners. PSD charman Liviu Dragnea had previously announced he won’t go at Cotroceni Palace to discuss the topic of the referendum. 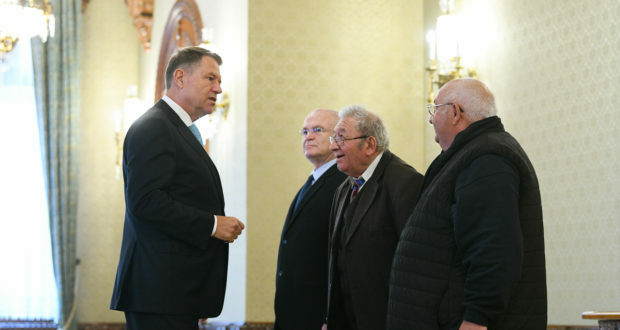 In retort, President Iohannis welcomed the two former political prisoners, while asking PSD lawmaker Eugen Nicolicea to leave the room. Iohannis wanted to be left alone with the two ex-dissidents. The Romanian President told the two former political prisoners: “I am glad they sent you instead”. The head of state also stated that Romanians are afraid that the party led by Liviu Dragnea would “politically subjugate” the judiciary, also stressing that PSD’s attempt to use the grief of two former prisoners in order to legitimate the assault against the justice is “a pathetic try”. “In my view, the Justice has ended up like this because of PSD, which is guilty that there is much concern and preoccupation. 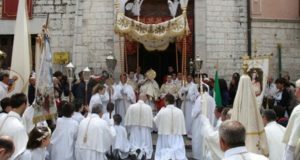 Romanians are afraid that PSD will politically subjugate the Romanian judiciary (…) The referendum is needed and we’ll have one on May 26“, Iohannis argued. Iohannis also slammed the ALDE’s absence from the consultations. “ALDE should have come today as well. They didn’t come. ALDE is not interested in any dialogue with the president, it’s not preoccupied with the justice situation”. In retort, ALDE said it is interested in a dialogue on justice, but on “a real dialogue”, not “a mock one”. ALDE argued that president Iohannis must dismiss PG Augustin Lazar, wondering if Iohannis is “just grateful to the prosecutor general for the closed files or he is just blackmailed with his wife’s case”. “ALDE is interested in a dialogue with the presidential institution, on justice, but a real dialogue, not a mock talk like the one you have organised at Cotroceni in the past two days (…) Did he intend to consult with us on the referendum topic, on the questions? No, all that he wanted was a PR event.” ALDE press release said. One of the former prisoners, Ioan Muntean, said after the meeting that he had asked president Iohannis to dismiss PG Augustin Lazar and that the head of state had replied that he would see about that. The other ex-prisoner was Marin Iancu. “They were political prisoners and were imprisoned in Aiud Penitentiary. Besides, Mr Iancu is also revolutionist. He was on the barricades at Universitate and one of his daughters was shot to death at Sala Dalles (…) They wanted to suggest one or two questions for the referendum, namely that, 30 years from the Revolution, people who supported torturers can take the Prosecutor General seat,” Nicolicea said after the talks. Yet, President Iohannis contradicted Nicolice, telling journalists that the two former prisoners had not left any questions. PSD has issued a press release this morning to announce the delegation sent by the party at Cotroceni Palace, saying the two former political prisoners are “victims” of PG Augustin Lazar, whose dismissal is refused by President Iohannis. Mr. Ioan Muntean was also political prisoner at the penitentiary of Aiud, section 6 a Bis with restrictive regime, which was the category of political prisoners who were extremely dangerous for the communist state. He was imprisoned for 7 years. The committee led by Augustin Lazar denied his release twice. After filing a complaint against Lazar over the abuses in the penitentiary, he ordered a punishment file against him and sent him to isolation. The two heroes lived a nightmare in Aiud, they lost years of their lives in the hell led by Lazar”, reads the PSD press release. However, the mass media reported that Ioan Muntean, presented by PSD as a “former political prisoner” and “a hero” was actually imprisoned for abuse of office and manslaughter. In the 80s, Muntean would have attacked a border guard, while attempting to flee the country, ProTV reported.